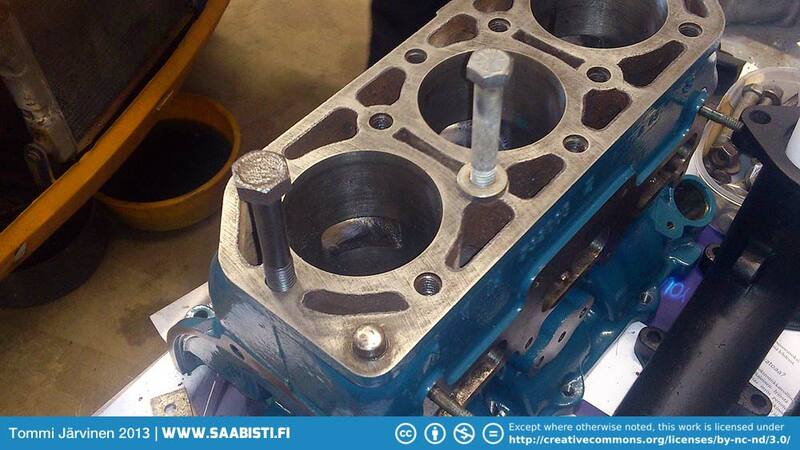 We decided to go with a V4 cylinder head bolt as it turned out to be similar length as two stroke. The black bolt in the picture is V4 and the lighter is two stroke original. 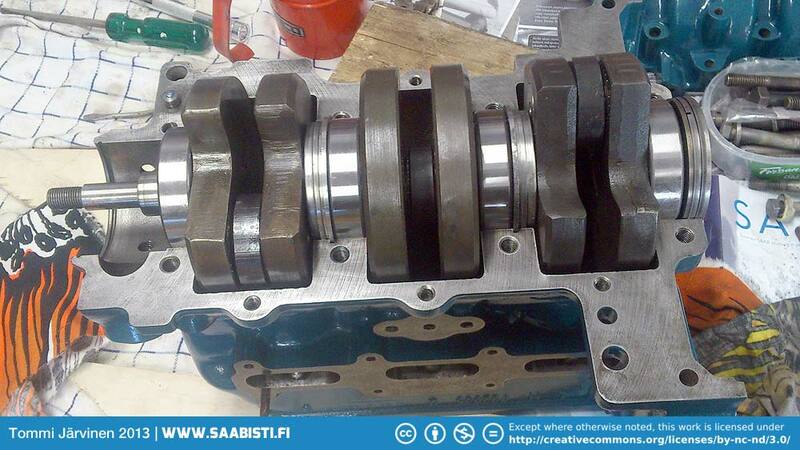 Crankshaft and pistons ready to install. 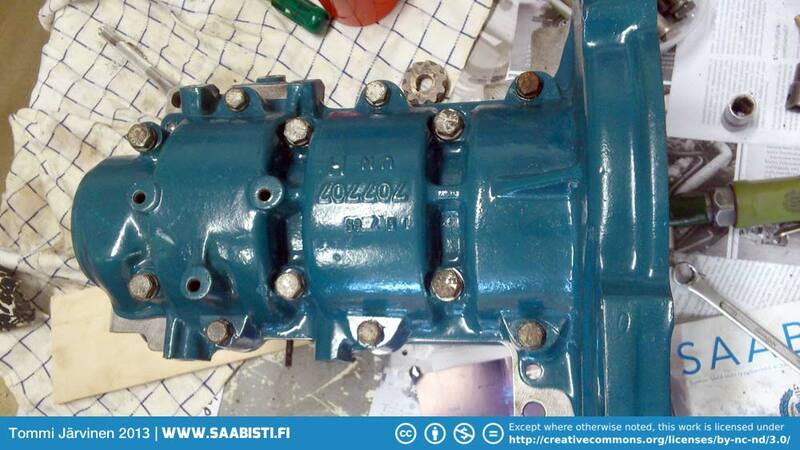 A destroyed distributor drive gear. 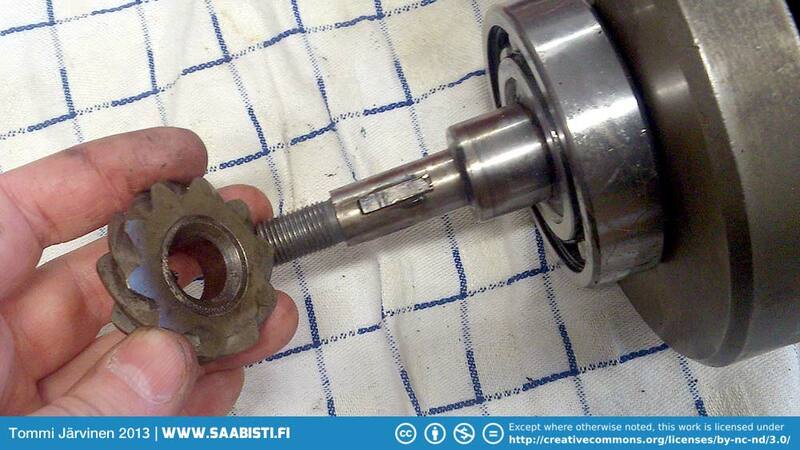 There is a small chamfer on the crank shaft – right where the drive gear fits. And on the drive gear there’s a similar – negative – chamfer. 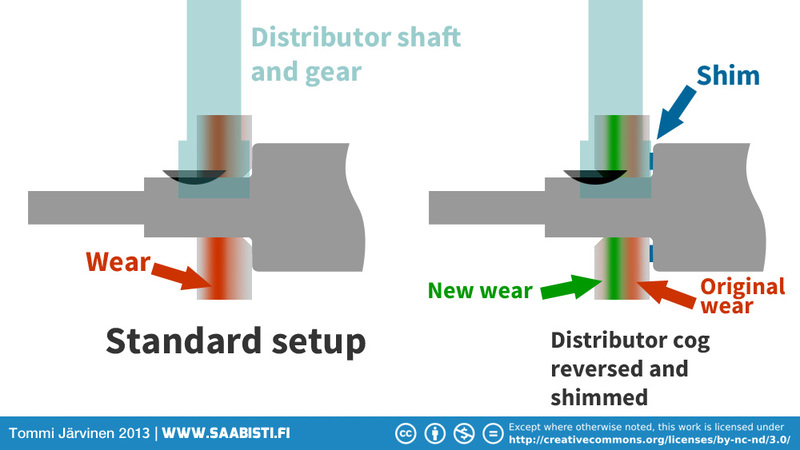 If the chamfers do not meet the drive gear will not fit snugly against the end of the drive shaft. This will allow for the drive gear to move as the crank vibrates and will ultimately cause the gear to wear down even faster. 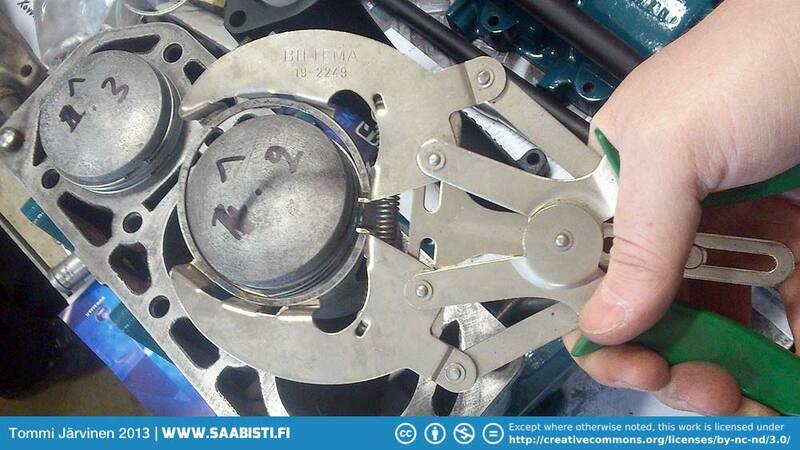 So – above is the correct way to install the drive gear. Mate the chamfers! 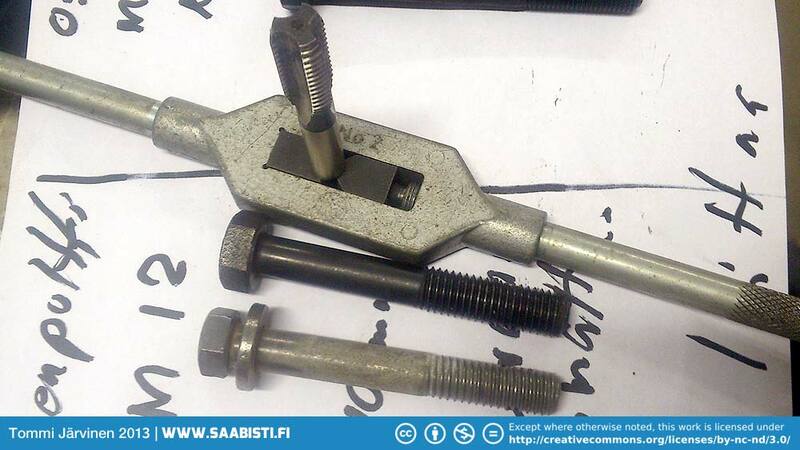 Also – the little “hub-puller” in the Saab workshop tool box is there for a reason. The fit of the drive gear and the vibration damper wheel to the crank (and the locking wedge) should be so tight you really need the puller to remove them. If this package is so loose you can pull it out by hand – it is too loose. 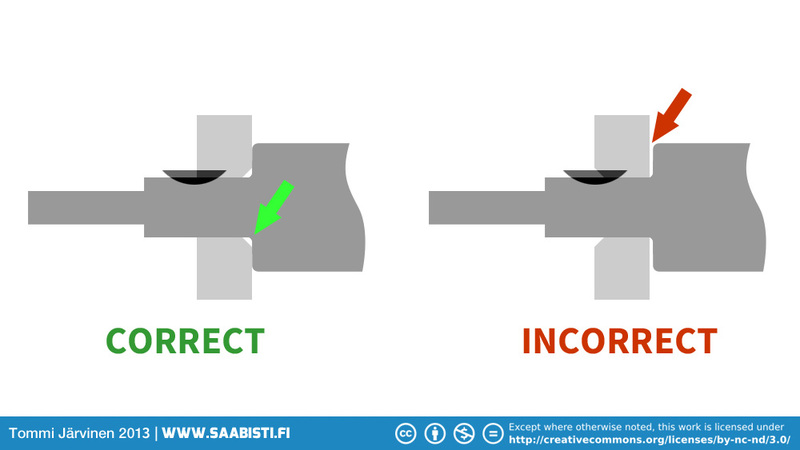 I have seen two types of wear happening: The drive gear is quite soft material and if it is installed the wrong way around it will start vibrating. This will in turn cause the little groove for the locking wedge to enlarge and the gear will wear down even faster. 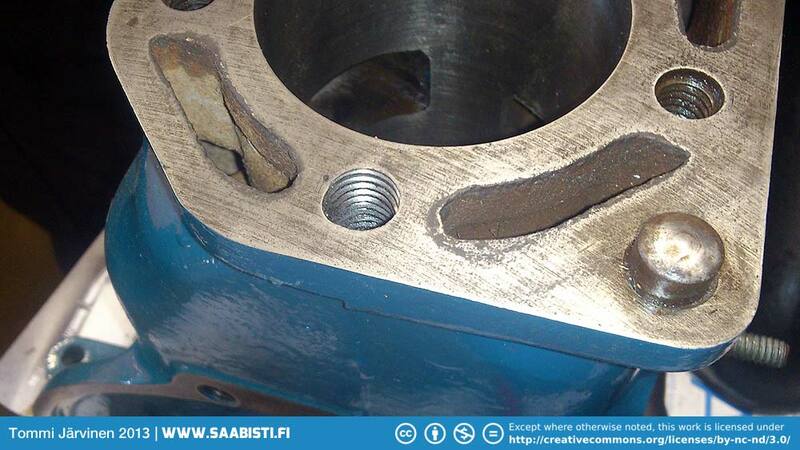 The second type of damage I have seen is the wedge groove on the crank enlarge. This will of course cause the whole package to become unstable and your timing will be all-over the place. I had both of the problems with ’66 engine for the white car. What I did was make a new – wider – wedge so it fits very snugly in the crank, drive gear and damper wheel grooves. As all these grooves were slightly different width I filed the wedge so it is actually wider on top and narrower at bottom – but also wider where it meets the drive gear and narrower at the damper wheel. The fit is so snug you really need the puller to remove the parts – and the timing stays spot-on. None of the drawings is in correct scale or proportion! They just illustrate the basic principle. I will report on how these modifications work as I clock more miles on the car. This is currently my favorite WEB Site. What a cracking job you have done in not only restoring your car but also in the way you have recorded how the work was done. I’ve owned a 1963 Bullnose for 28 years and the plan was to use it as a retirement project, unfortunately it’s now in a poor state. However, since finding time on my hands, a burst of inspiration ( promoted by your WEB Site ) and a tidy garage, things have started to change. 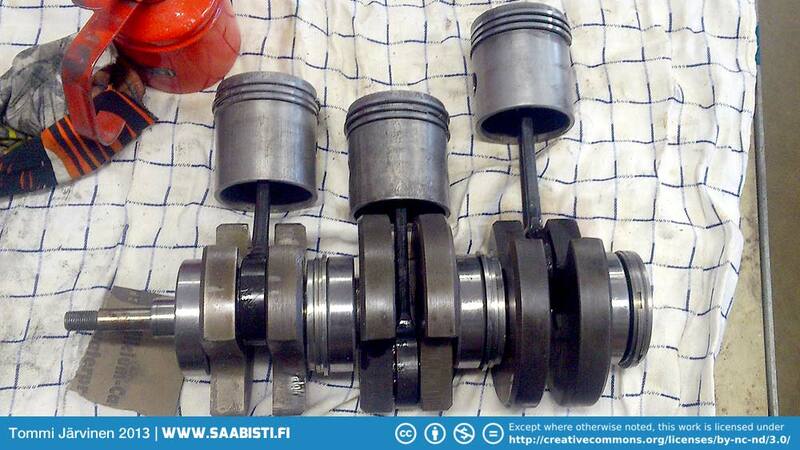 I’ve still got a good collection of Saab parts including a spare engine & gearbox. The tub is now in the garage and I’m working from the back to the front replacing rust with new steel. It’s a long term project and there is no planned finishing date. Keep up the good work. Regards. Thanks for the kind words! 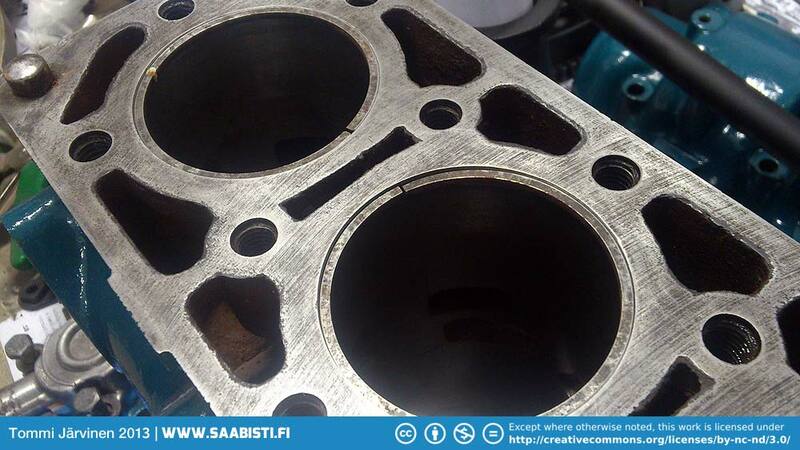 The main purpose of this site is to inspire people to restore or just keep their old Saabs running. I’m very happy to hear that it serves it’s purpose. I also want to keep a journal for myself about what I have done and how it was done – makes it easy to check something out later if needed. And I hope that my “learning by doing” approach is something that encourages people to try this stuff themselves. A friend has a 93F with a bad engine vibration, Many things have been tried todate, but no cure. It’s very hard to say much without seeing and hearing the engine. Does the engine vibrate/shake on idle? Or shake only on acceleration? Or just vibrates at any revs even if there’s no load? 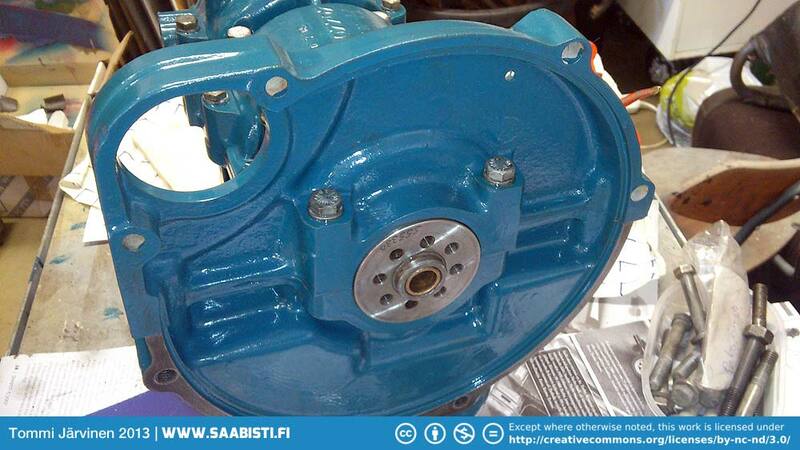 One source of continuous vibration could be the flywheel? In my exprience shaking on idle is usually ignition / timing related. Is the distributor drive gear in good condition? The drive gears and the vibration dampener should be a tight packet – there shouldn’t be any play at all. 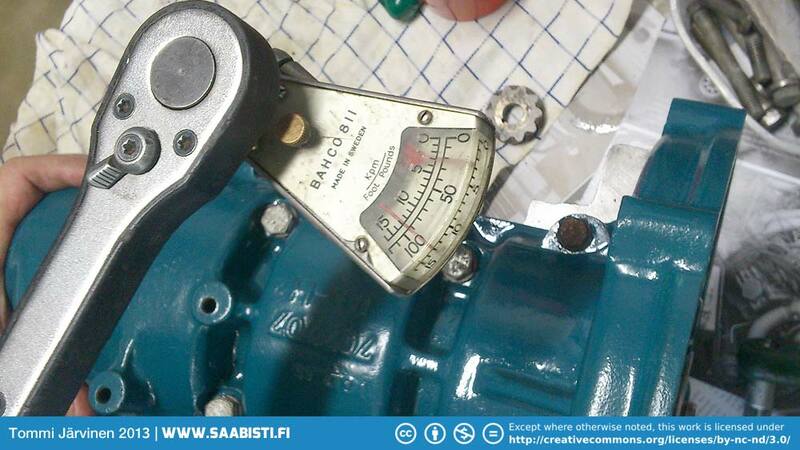 Easy way to check their condition is by using a timing lamp. If the timing stays spot on the mark and when revved advances correctly – then it should be in good condition. But if the timing mark wanders or vibrates around violently, then timing will also be all over the place causing the rough idle. 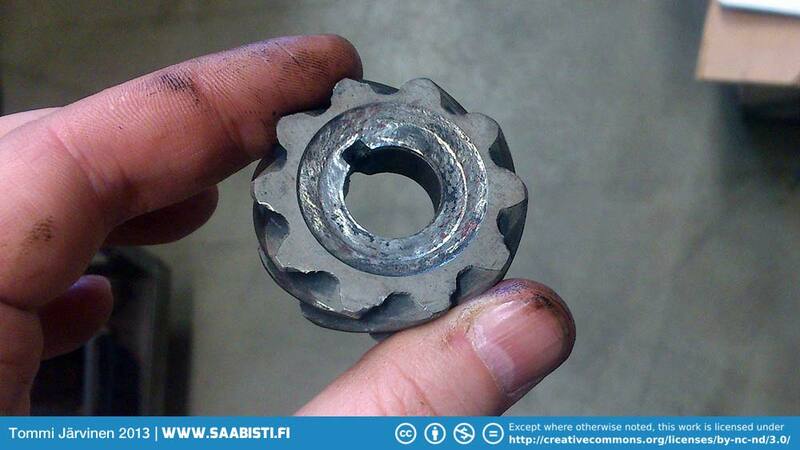 Also: Is the vibration dampener wheel in good condition? The vulcanizing is still ok and the belt pulley is not separated from the dampener? If the engine shakes on acceleration only, then it’s quite likely about the engine mount rubbers being too old and loosing their stiffness. Even if the rubbers look ok (no cracks) they can just be too old. Also – are the rubber donughts on the drive axles in good condition? They usually deteriorate over time and can cause shaking. 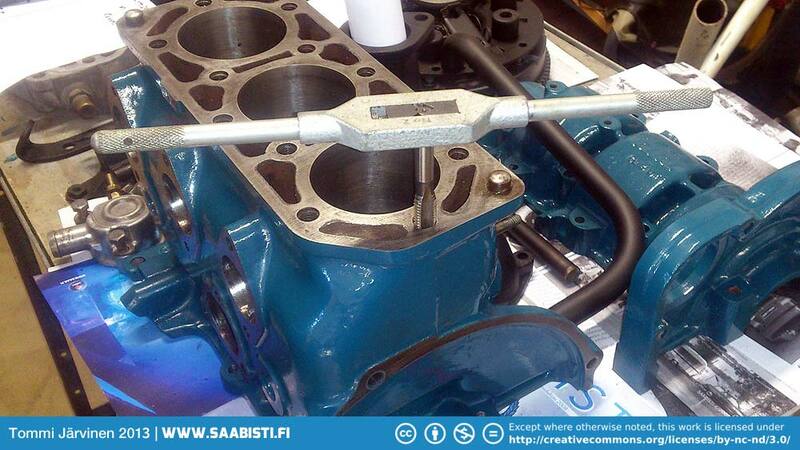 Saab Club Sweden has occasionally made batches of re-vulcanized engine mounts, but I don’t know that situation at the moment. The engine vibrates at all through the RPM range…At high revs with ignition shut off the vibration remains all the way down to virtually “0” revs. Bud Clark has run the engine up to 5K and killed the ignition….engine vibrated clear down to RPM. Fly wheels have been changed along with clutch & pressure plate…No Effect. this engine is a complete mystery. I’m sorry to hear you have not been able to find the problem. Unfortunately I have already suggested the things that come to my mind. Without seeing and hearing the engine that’s about all I can do, except wish you the best of luck in finding a solution!